Under the Pensions Act 2008, every employer in the UK must put certain staff into a pension scheme and contribute towards it. This is called ‘automatic enrolment’. If you employ at least one person you are an employer and you have certain legal duties. We have chosen Smart Pension Ltd as our preferred provider to ensure that your business is compliant for this process. Smart Pensions have no set up costs & are an extremely good deal with no minimum contribution or premium levels. The competitive 0.75% annual management charge provides employers and staff with a flexible cost-effective pension plan with guaranteed acceptance of all eligible staff members & non-eligible staff requesting to join the scheme. Smart pensions link automatically with our payroll software meaning employees and contributions uploaded as part of our monthly payroll process. There is a dedicated, proven, purpose built, super-fast, secure, online administration platform that provides an end-to-end Automatic Enrolment solution with online access for employee members and simple to understand member communication. 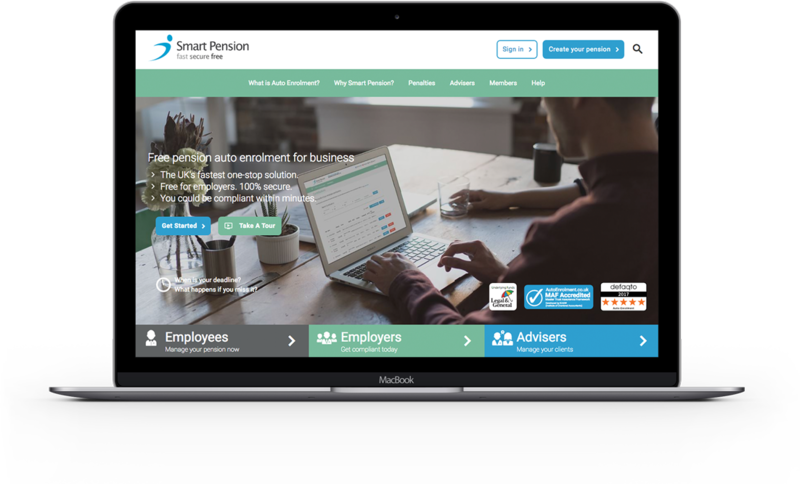 Smart offer comprehensive support and guidance via online, telephone, video & written resources along with a useful range of planning tools and pensions calculators. As your payroll partner we at the numbercruncher help manage the whole process from staging date to setup and ongoing workplace pension management.